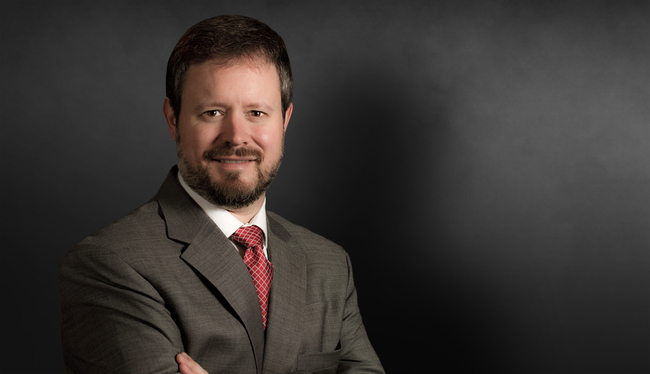 Howard Russell has established himself both as a successful litigator in complex tort and commercial matters, and as an analytical and creative insurance coverage attorney handling high exposure coverage issues. This rare combination of a traditional defense practice with an extensive insurance coverage background allows him to advise clients on a wide range of issues and to foresee potential pitfalls and problems that could arise over the course of litigation. Howard has served as a lead presenter at trial practice and premises liability seminars and has authored and developed continuing education materials for clients and insurance coverage conferences. He has developed the respect of the members of the local bar, become a sounding board for both colleagues and adversaries to discuss unique legal issues and been a frequently invited speaker at law schools and in-house client seminars. In addition, Howard was tapped for his leadership as managing partner of the Las Vegas office, where he has been at the forefront of its growth and its position as one of the most respected and successful firms in Nevada. Clients that once turned to established local firms now rely on the national prowess of Weinberg Wheeler Hudgins Gunn & Dial to solve their most complex legal problems, and manage their highest exposure risks. Howard is licensed in Nevada, Georgia and Massachusetts, and has tried or appeared in cases in seven different states, involving trucking and bus accidents, commercial disputes, insurance coverage, premises liability and product liability. Defended aerial lift manufacturer in numerous cases in the western United States, including obtaining favorable settlements well below initial demands. Defended insurance carrier and subcontractor against claims by general contractor for contractual indemnity and additional insured status, which resulted in appeals to Virginia Supreme Court. Defended against claims of complex pain syndrome and catastrophic injuries arising from accident at airport, and after a ten-day trial reached settlement of less than 30 percent of plaintiff’s demand at opening of trial. Defended multiple Las Vegas nightclubs against claims of improper force used by security personnel. Obtained directed verdict for defense on claims of negligent hiring and vicarious liability against Las Vegas hotel and casino for alleged assault by employee. Represented and defended clients in product liability cases involving medical devices, pool filters, aerial lifts, industrial machinery, cranes, automobile tires, mechanical fasteners, all-terrain vehicles, watercraft and motorcycles.